The microelectronics innovation center in Laoshan district in Qingdao, Shandong province, made its debut on Dec 21, an event attended by a large group of industrial leaders. Shibei district in Qingdao, an area with profound industrial resources, is striving to build itself into a dynamic region of prosperity and harmony. A financial service center opened Thursday in the demonstration area for local economic and trade cooperation between China and the Shanghai Cooperation Organization (SCO). 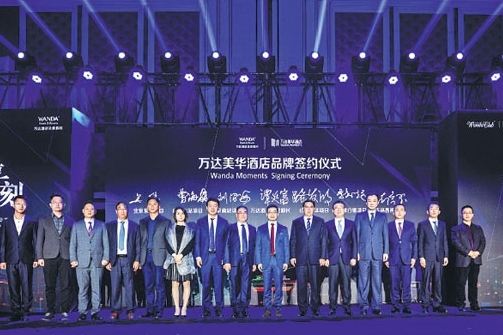 Wanda Hotels and Resorts launched its mid-class brand for business travelers - Wanda Moments - in Qingdao, Shandong province last Friday, as part of wider efforts to explore different niche markets by the multilevel hotel group. 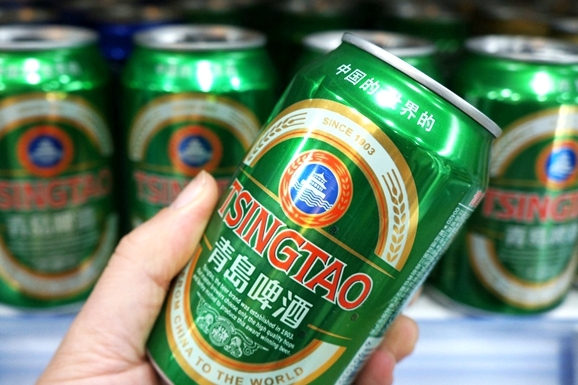 Chu Liangjing still remembers when his company did business overseas 30 years ago, and had no idea where its products were sold. China's rolling-stock maker CRRC Qingdao Sifang Co Ltd has secured an order to develop and produce 22 trains with wind- and sand-resistant designs for an urban rail transit system in Egypt. China-developed "magic soil," a kind of modified clay, has become a hero in extinguishing red tide, a harmful algae bloom that causes damages to the marine aquaculture in the US and Chile.